Spring has a way of teasing the winter-weary with its elusive behavior, literally raining on our parade just as we start considering crisp white tees and exposed ankles. While you’re flip-flopping between sunshine and showers, nothing will beat your wardrobe blues like Grain’s bright, bubbly necklaces. The Chi-Chi necklace is named for the colorful Chichicastenango Market in Guatemala, where traditional yarns are sold in bulbous, multicolored skeins for Ikat tie-dyeing. 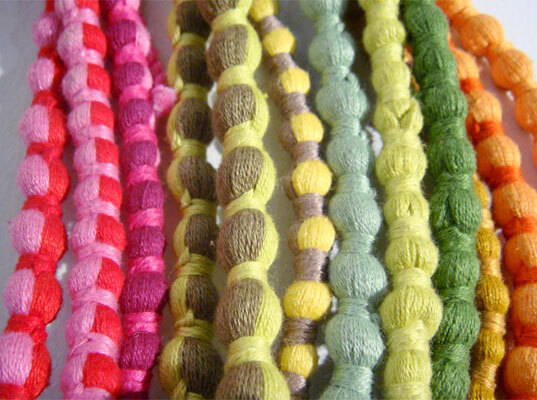 Each Chi-Chi necklace supports sustainable incomes and traditional Guatemalan artistry. With a nod to its market heritage, each necklace contains multiple colors of 100 percent cotton thread to light up even the most dreary of days. 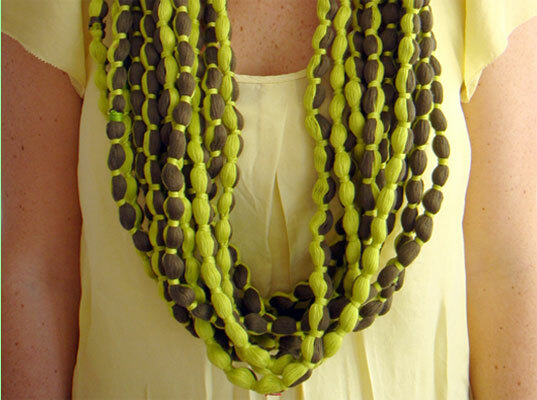 And if bright colors aren’t enough, you can be warmed by their cultural ethics, too: Originally designed for “Bridging Cultures Through Design”, a 2006 course Grain’s founders took at the Rhode Island School of Design, each Chi-Chi necklace supports sustainable incomes and traditional Guatemalan artistry. Plus, as a member of 1% for the Planet, Grain is also keeping tabs on the planet, one dazzling little ray of sunshine at a time. Spring has a way of teasing the winter-weary with its elusive behavior, literally raining on our parade just as we start considering crisp white tees and exposed ankles.�While you're flip-flopping between sunshine and showers, nothing will beat your wardrobe blues like Grain's bright, bubbly necklaces.